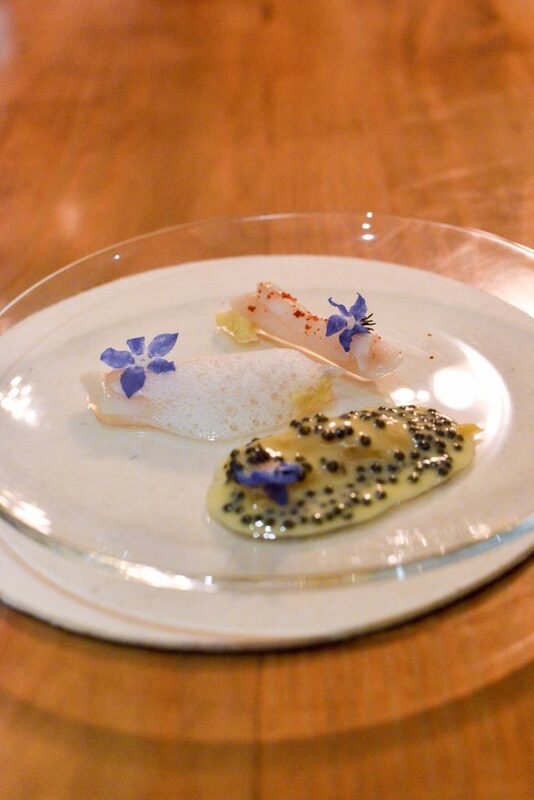 Diego Munoz was head chef at Astrid & Gaston when it peeked at number 14 in the World. At this point he was running a restaurant with more than 100 people. As with so many other chefs he decided to take a step back from everything. For him that meant travelling the World to seek new inspiration, which also led to starting/consulting for several restaurants from Bali, Copenhagen, Miami, Lisbon and the Latest Turkey. It did however also make Diego miss the time in the kitchen running service and executing his own ideas. With his new concept Atman which consist of a private dinner at his house in Lima for 10 people he is now back in the kitchen. The dinner takes place at Diego’s house when he has time and feels like cooking. As it is a communal dinner everybody arrives at the same time and shares the experience. With no investors, no daily service and no pressure to reach the top of any list he is free to cook and do whatever he wants. After a nice cocktail the dinner started with 3 small snacks. Fried crispy seaweed with fish roe, grilled baby corn with two sauces of peanut and basil and a fried asparagus with lots of refreshing lime and breadcrumbs. 3 very different snacks in both flavor and texture. Both the seaweed and the corn was amazing. Especially the two sauces for the corn was amazing touches. 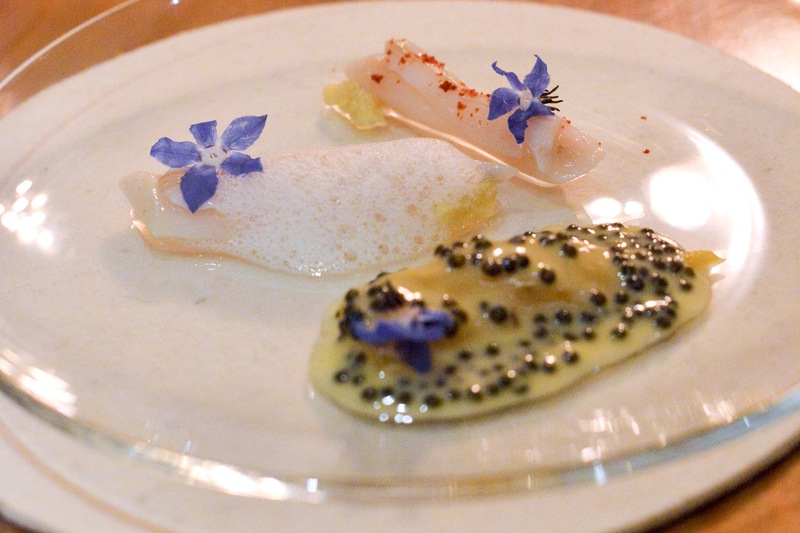 The first actual dish was two versions of razor clam with a bit of fresh ginger and a mashua with a classic buttery caviar sauce. This was the first time I have had caviar in Peru and I have missed it so it was so great to have it again. Of course also such a beautiful dish. Next dish was probably the highlight. 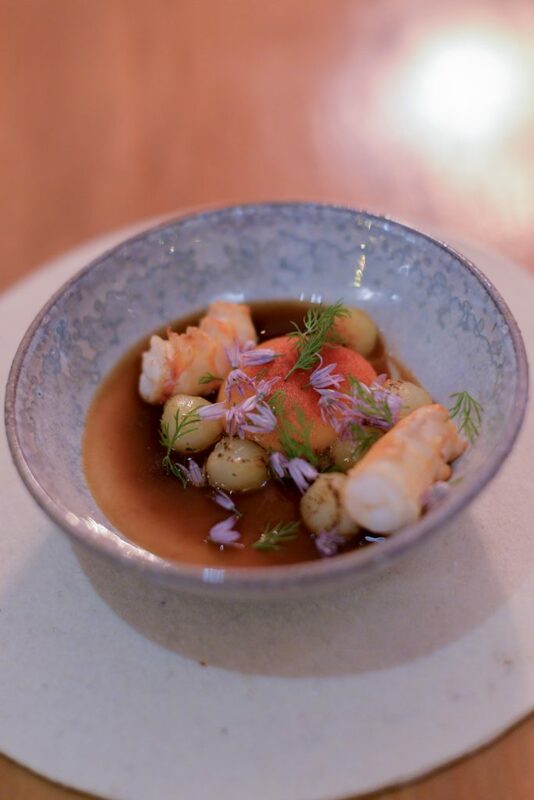 The local langoustine (camaron) with a rich umami mushroom broth, a langoustine bisque gel, small potatoes, sous vide egg yolk and onions flowers. It was such an umami bomb and I absolutely loved. Classic flavors but it still felt new somehow. Flawless execution of course. Another classic. 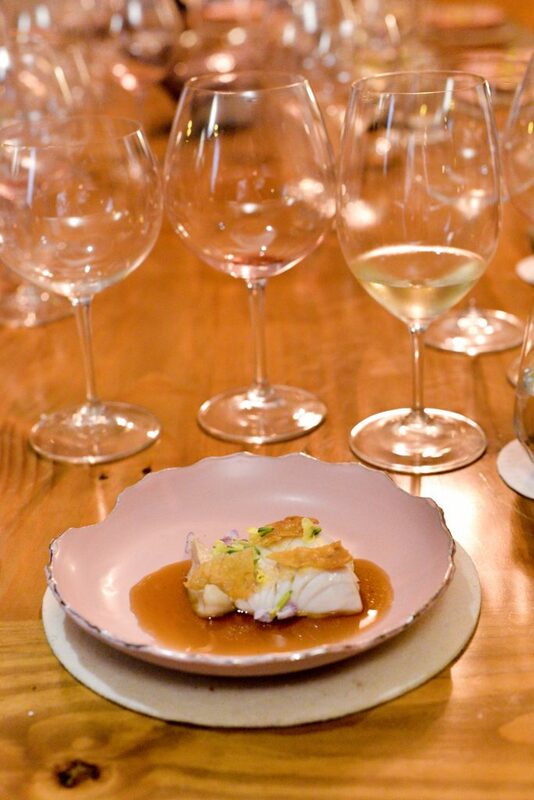 A cojinova fish, yeah I have also never heard of it before, but it looked and tasted like cod, served with a sweet cauliflower cream, almond sauce and fried chicken skin. The fatty flavor from the chicken skin matched well with the fish. 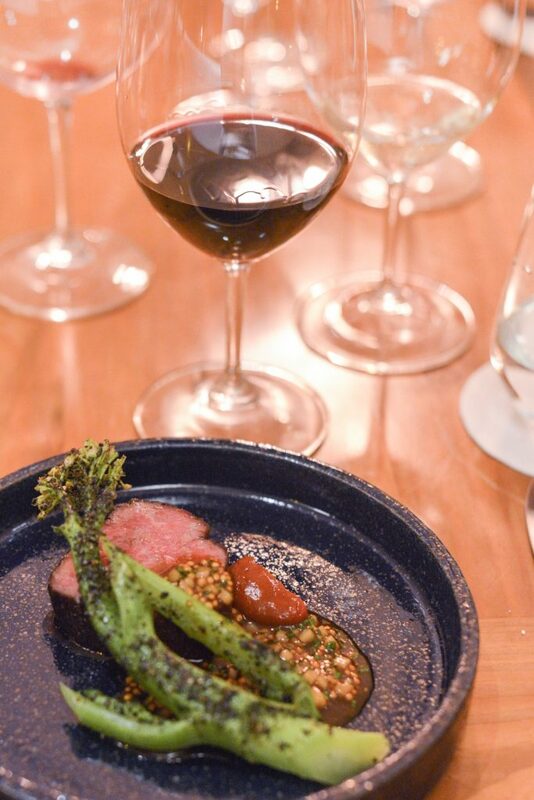 To finish the salty dishes was a delicious piece of beef tenderloin with a very crispy Chinese broccoli, a sweet rocoto (Peruvian chili red peppers) sauce with a variety of spices. A very delicious and international dish as it is seldom that you get a dish that is basically “just” a piece of meat, vegetable and sauce. 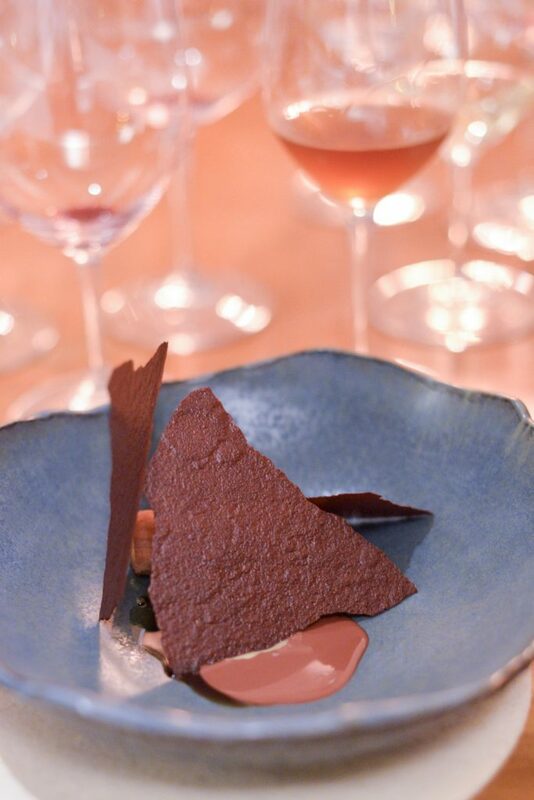 Of course we could not finish with anything but varieties of cacao, with a pistachio, a bit of basil sauce and lucuma ice-cream. This dessert blew me away. Cacao and lucuma are extremely classic Peruvian dessert ingredients but the small hint of basil was just amazing in bringing the dish together. Without a doubt one of the best dessert I have had this year. Unfortunately that dessert was also our last dish of the evening. There is no doubt that Diego felt free to cook whatever he wanted to without having any restrictions on having to cook in a special style or using specific ingredients. The result of that was an international flavor profile consisting of primarily Peruvian ingredients with a few international additions. It is hard to compare the dinner at Atman with that of a regular restaurant as everything about it is different, but looking purely at the food and wine it is easily among the best 3-5 restaurants in Lima which too me shows just how talented Diego Munoz is as a chef that he was able to cook that menu just out of his own kitchen with one chef. 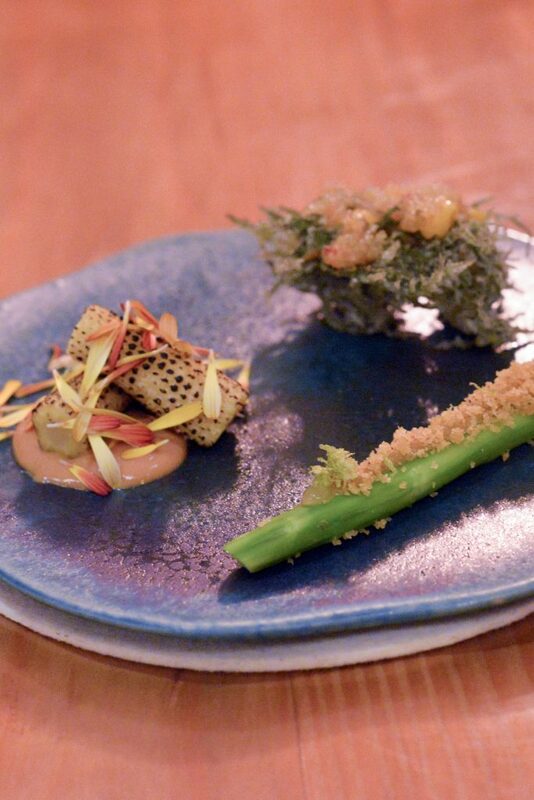 It also made me a bit sad because if he can do this in his own house and just one chef to help him imagine what he could do with a professional test kitchen, fermentation staff, research trips and 100% dedication to this. Cruise control or World class at Restaurant Maido?